The Float C is a ceiling mounted luminaire for direct softly diffused energy efficient fluorescent lighting, with optional blue or topaz colored filters applicable to the upper, indirect emission diffuser, designed by James Irvine for Artemide. 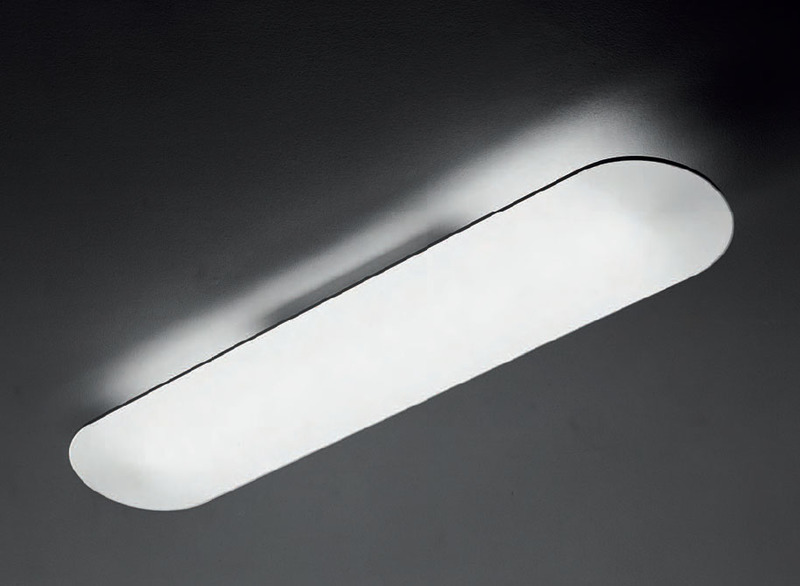 The body of the lamp is in stamped aluminum with a white lacquer finish. The upper, indirect light emission diffuser is in clear polycarbonate with an optional blue or topaz colored filters. 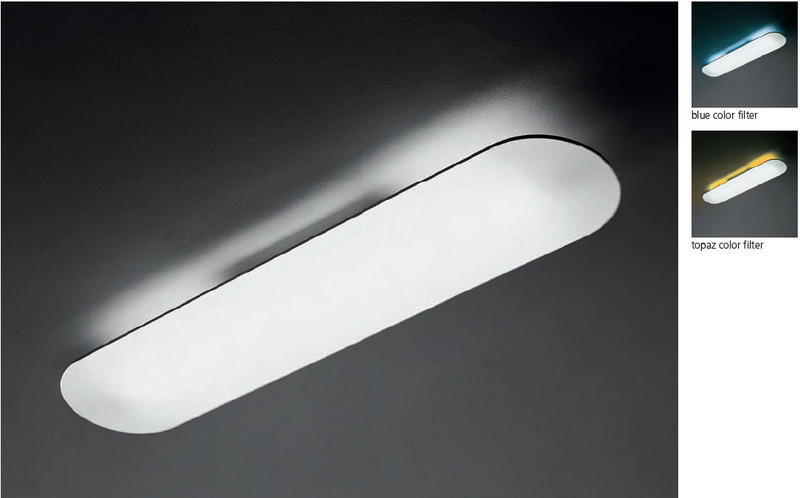 The lower, direct light emission diffuser is in opaline polycarbonate. The ceiling light's canopy is in white molded thermoplastic and has a steel incorporating 120V fluorescent ballast and holding four body supporting teflon coated cables. It is a simple and functional design. Please note that the filters are not available for the 2 x 54W version of the ceiling light.